The original Hollywood Wax Museum was, as the name suggests, in Hollywood - which is where it still is today. It’s now known as the Hollywood Wax Museum Los Angeles, and has been entertaining visitors on Hollywood Blvd since 1965. The incredibly lifelike wax reproductions of Hollywood celebrities changes on a regular basis. One of the popular sections of the museum is the “Chamber of Horrors,” with a collection of monsters from various films, both classic and modern. One of the appeals of the Hollywood Wax Museum is that visitors can get up close to the wax figures, posing for photographs with the life-size models. You can even get into costume yourself before you snap a photo. The exhibits also include bits of trivia about some of the stars on display. The Hollywood Walk of Fame and the TCL Chinese Theatre (with all the celebrity foot and handprints) are both about a block away from the Hollywood Wax Museum. From jaw-dropping physical feats to pop cultural phenomena and strange science, marvel at the extreme limits of nature and human endurance at the Guinness World Records Museum in Hollywood. Be amazed—and possibly get grossed out— at this family-friendly attraction right off the Hollywood Walk of Fame. You can even try to set a record of you own and earn a place in the bestselling book that started a record-breaking revolution. Book your admission ticket to the Hollywood Wax Museum for the chance to walk among life-sized likenesses of the stars. See realistic wax figures of A-list movie and music celebrities, pop culture icons and other entertainers, and learn tidbits about their accomplishments, pets, and pet peeves. Then check out an array of horror movie villains that inhabit the Horror Chamber. Booking your ticket in advance makes it easy to visit this popular Los Angeles attraction. 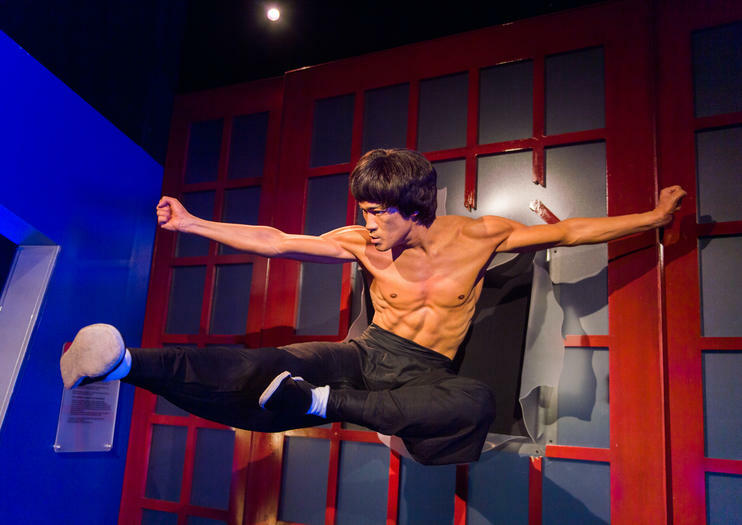 Get a true taste of Tinseltown celebrity culture thanks to this combination admission to the Hollywood Wax Museum and Guinness World Records Museum. Pal around with your favorite A-list stars (or at least their wax likenesses) as you take a few ‘selfies’ while trying on fun props and costumes. Then prepare to be wowed by the amazing record-breaking facts and feats like the world’s tallest man and smallest dog, brought to life at this museum based on the best-selling Guinness book. Explore Hollywood’s top pop culture sights on a 3-hour private walking tour. Walk along the Hollywood Walk of Fame, visit famous spots like the Chinese Theater and the Capitol Records Building, and learn about the movie industry and its history from your informative guide. See the Hollywood of your dreams on this private and customizable tour.